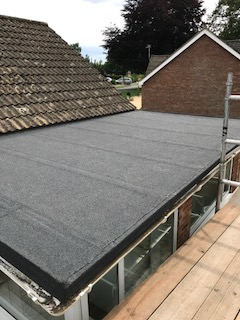 Broadland flat roofing is a family owned business with over 20 years experience specialising in the installation of high performance roofing systems for flat roofs. We specialise in the domestic market i.e. extension's, garages, dormers, and over the years have built an excellent reputation for our professional and friendly service. The majority of our work comes from recommendation from previous customers, a fact that confirms our good reputation for quality materials, workmanship, and customer service. 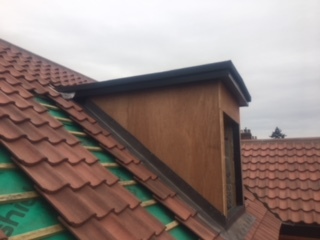 We cover all aspects of the construction and refurbishment of flat roofs including, timber joists, plywood decking, insulation, fascia's soffit's and guttering, and the various waterproofing systems available. All products used conform to current building regulations. We are located in the heart of Norfolk but our services extend to the whole Anglia region. 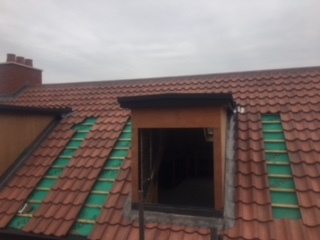 After contacting us we will arrange a time convenient with you for us to survey your roof and provide you with a written quotation detailing all aspects of the work involved and guarantee's offered. The price we quote is the price you pay, no hidden extras or surprises. High performance polyester based roofing membrane is still the most widely specified and used form of water proofing for flat roofs. 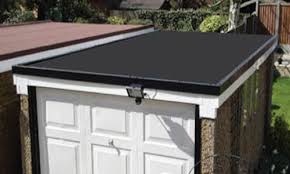 Modern polyester based roofing materials use a modified bitumen of either SBS, which is a rubber modified elastomeric bitumen which provides excellent flexibility in very low temperatures, or APP polymer modified bitumen which also gives good low temperature flexibility. The material itself is based on a woven fabric which makes a very strong core which is then impregnated with modified bitumen. The system can be built up with usually three layers consisting of a base layer of B.S 747 type 3B, followed by a polyester based underlay, and finished with a polyester based mineral cap sheet. Both the underlay and the mineral cap sheet are completely welded to provide a water tight membrane. 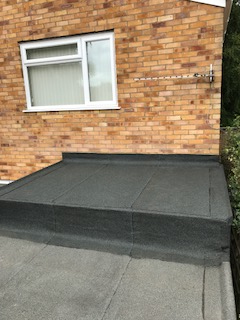 All products used by Broadland Flat Roofing Contractors are supported by British board of agreement certificates and we can offer guarantees of 10, 15, and 20 years depending on system required. 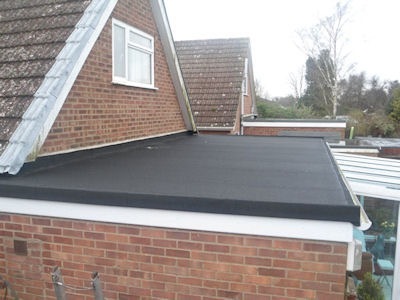 All uPVC products used by Broadland Flat Roofing are carefully sourced from years of experience for their ability to withstand the harsh weather conditions of our British climate. All uPVC materials used by us carry a manufacturer’s 10 year guarantee. The deck underneath any water proofing system is the most important factor in a flat roofs life expectancy. If a poor deck is used it will degrade quickly and cause the waterproofing system above it to weaken and ultimately fail. For this reason we prefer to use 18mm structural grade C.D.X. plywood, British Standard 5268 part 2, which is sourced from sustainable managed forests. 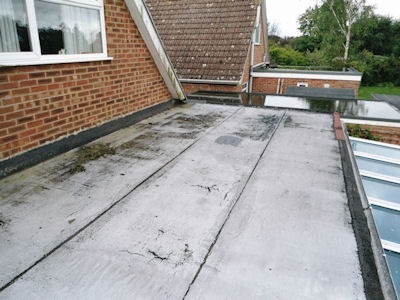 When having your flat roof refurbished it is an ideal time to upgrade your insulation. In the past flat roofs were insulated by placing glass fibre insulation in between the roof joists. Often there is very little or no insulation at all, which allows heat from the room below to escape, often causing condensation problems on the ceiling. Most recent design practice is to create a “Warm roof” by fixing a polyurethane insulation board above the deck area, and to prevent vapour penetration by provision of a vapour control layer below the insulation. The water proofing system is then fixed on top of the insulation board to complete the flat roof system. By creating a “Warm roof” you eliminate the possibility of warm moisture laden air rising through the roof fabric where it would condensate on the underside of the roof decking or water proof membrane. We will make sure that your insulation meets current building regulations.